British architectural heavyweights Norman Foster and Richard Rogers have written tributes to Will Alsop, who passed away earlier this week. Foster called Alsop a "truly unique individual", while Rogers said he was a "wonderful, warm, brilliant architect and friend". Alsop, who was nominated for the Stirling Prize four times and won UK architecture's highest honour in 2000, died on 12 May 2018 aged 70, after a short illness. Both Foster and Rogers have praised the architect's ability to challenge standard ways of thinking – something that was reflected in his colourful and playful architecture. "As someone who always sought to break free from the norm, the exuberant and inimitable style of his buildings reflected his larger-than-life persona," said Foster, in a tribute sent to Dezeen. Meanwhile Rogers, on his Twitter feed, said: "[He was] a genius, colourful and creative maverick who challenged mainstream modernism whilst being a true modernist. I shall miss him." Foster describes Alsop's Peckham Library, which won the Stirling Prize in 2000, as "exceptional", while Rogers calls it "a wonderful public space"
Alsop established his studio All Design in 2011. Although currently based in east London, it was originally located in Battersea, south London – very close to the Foster + Partners office. "I was delighted when he set up his studio in Battersea, contributing greatly to the creative and social energy in the area," said Foster, 82. "A maverick and idealist, Will Alsop added colour and diversity to the British architectural scene throughout his career, and will continue to be an inspiration for young architects for generations to come." "Will Alsop had the balls to think differently"
Foster also paid tribute to Alsop's skills as a designer, which he claims were evident from a young age, when he was the runner up in the contest to design the Centre Pompidou, behind winners Richard Rogers and Renzo Piano. He also praised the architect's "floating" buildings: Peckham Library and the Sharp Centre at the Ontario College of Art and Design (OCAD). "His skills as a gifted designer shone through at an early age, when he was shortlisted as the runner-up in the competition to design the Centre Pompidou when only a student at the AA," continued Foster. "The undulating ground plane of the scheme echoed an inherent playfulness that would go on to become the hallmark of his work." "His attempts to make his buildings 'float' were borne out of a deep sense of civic responsibility, to give the ground over the buildings and gardens in an effort to make the cities he worked in happier places to be," he said. "The exceptional Peckham Library and the equally distinctive Ontario College of Art and Design remain the most successful illustrations of his philosophy." Rogers echoed Foster's admiration of Peckham Library, which was named the UK's best building in 2000. "I remember going to see Peckham Library with Will Alsop when it was completed in 2000. It is a wonderful public space," said Rogers, 84. "Seeing it standing on slim columns, I was amazed at what it offered, not to just those who use the library, but also to the highly responsive passer-by." 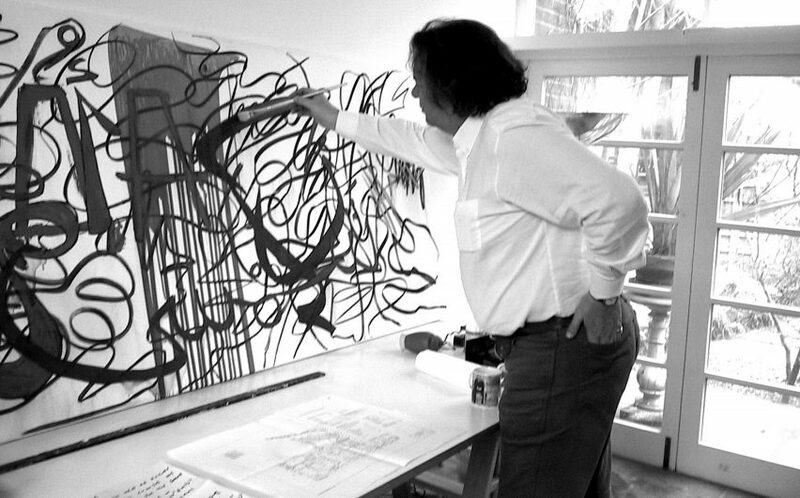 Other figures to have paid tribute to Will Alsop include architecture critic Paul Goldberger, who called him "one of the true free spirits and creative iconoclasts of contemporary architecture", and RIBA president Ben Derbyshire, who described him as "larger than life" character with "an indefatigable free spirit". In a column for Dezeen, architect and former FAT director Sam Jacob also paid his respects. "Architecture won't be the same without you around," he said.